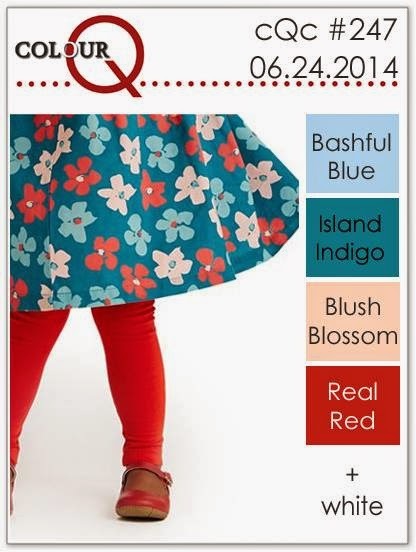 Happy Tuesday and tie for this week's new colour palette from the colourQ! I mimicked the pattern from this sweet dress on the focal panel of my card and used Lesley's sketch from The Challenge! I also used score lines instead of background paper. Oh I love how you mimicked the skirt. So adorable Tracey! Very pretty! Love how you mimicked the dress pattern. wow this is so pretty and what a fun color combo.. This is so pretty, Tracey! This is totally sweet! The colors just pop against that white base! Love, love, love! Great job combining the sketch with the colours! Love the fun whimsical feel of this! Cute! The flowers look exactly like the ones on the dress! Sweet perfection on the colorq and the wonderful embossing on the base, wow!!! Such a sweet clean card!!! Thanks for joining us at The Challenge Tracey, always a pleasure to see your wonderful fun and sweet designs! PERFECT use of the challenge. I could never pull off this color combo using flowers. You are amazing! Okay this is just WAY too sweet!! Love the way you used this week's colors. I'll be back in the game next week. I think I'm caught up, hope I still have some mojo after vacation LOL!!! Great job bringing that skirt design to life on paper. LOVE the contrast in colors of those big blooms. 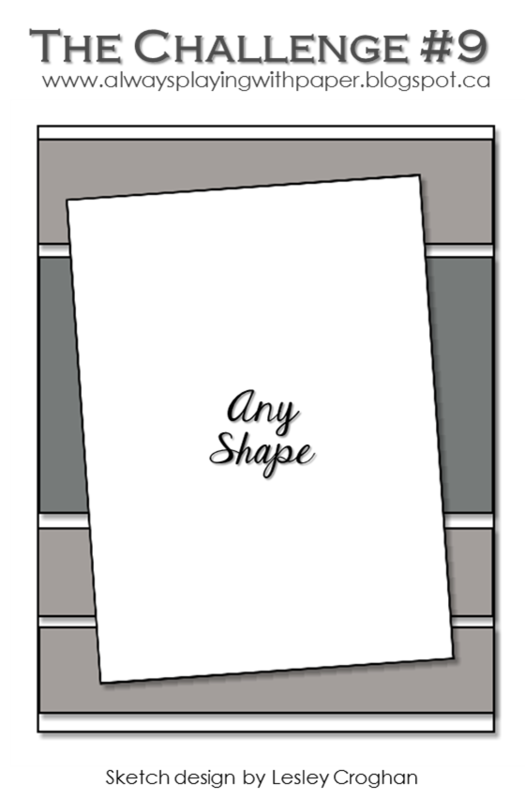 Oh, I just love how you combined these challenges to create your card, Tracey! Your flowers are so charming, and I love the happy color combo! Such a sweet card! cute...cute...cute! 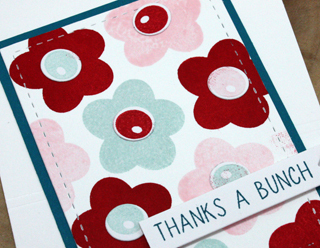 I love your sweet little posies and what a fun way to say thank you too. Absolutely delightful! I really love the flowers and the bold colors on the white background! Fabulous card my friend! How pretty this is! Your translation of the dress pattern into your card is soooo eye-catching! Happy-making card in every way! Fabulous CAS take on the sketch! Love the bold floral panel. Thanks for joining us at The Challenge!